Firming Anti-ageing Cream with the patented Revitol-C Complex of stabilized L-Ascorbic Acid that diminishes fine lines and wrinkles. 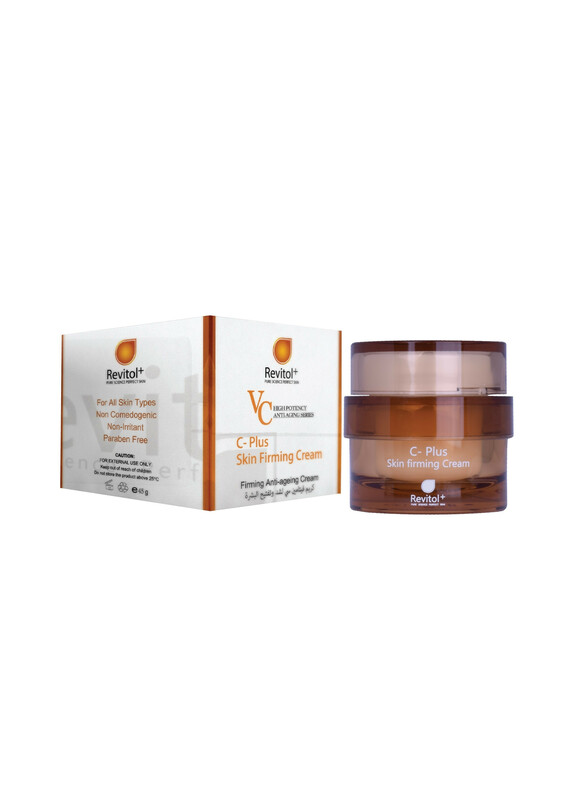 C-Plus Skin Firming Cream with the patented Revitol-C Complex of stabilized L-Ascorbic Acid. Refines skin texture and tone. Promotes a youthful appearance with natural healthy complexion. Makes age and sun spots become less obvious. Prevents photo ageing and stimulates collagen production for elastic resilient skin .
? Used once a day, apply on face, neck and V of the chest.? Avoid using around the eyes. Used to lighten the skin and maintain its freshness.